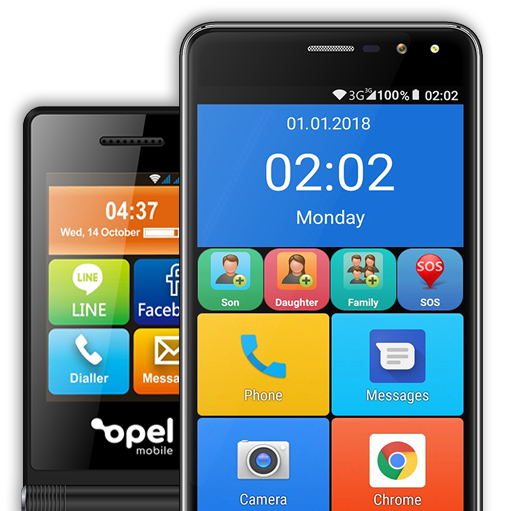 Opel Mobile specialise in mobile phones for seniors, kids and the vision and hearing impaired. With Opel Mobile you’ll get all the apps and functionality you expect from a phone, with thoughtful inclusions like big buttons, SOS features and streamlined connectivity to name a few. Our products are top quality and span the full spectrum of phone types, from flip phones to smart phones to big button phones. We focus on ease of use, with a customised operating system based on Android that is easy for our customers to use and cuts out the bloat and unnecessary apps they don’t need. Not only that, but all products feature stylish designs that look good too. We’re Australia’s top rated phone for seniors with a range of top reviews on our Amazon and Product Review listings. Purchase online now, easily and quickly at Australia Post – a trusted Australian retailer with fast and FREE shipping. Get the best price guaranteed.